That looks like fantastic product! How long can you keep it in a jar? Good question, Nancy! 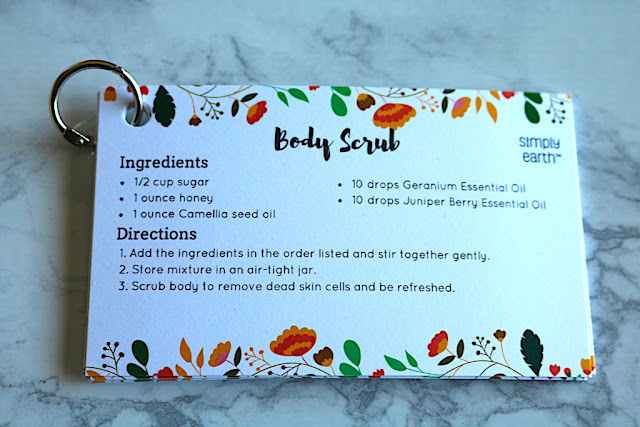 The recipe for the body scrub only makes enough for about a week or two. But I did some research online, and it looks like the essential oils and the carrier oil should be good for at least two years in their bottles. Most recommendations for mixed body scrubs suggest to use them within six months. Since it is so easy and quick to mix them, I will just make enough for a week or two at at time. That's such a fabulous idea! 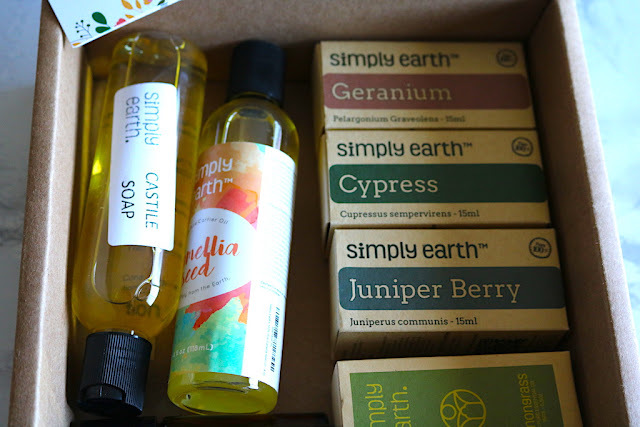 I've really been trying to use more natural products lately....I'm just not sure that I'm up for making them myself. How long did it take? It's really quick and easy to mix all the recipes - literally just a few minutes... You should give them a try! 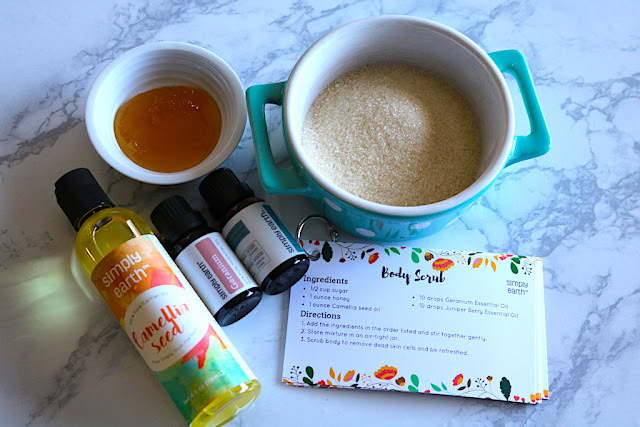 I made a sugar body scrub many years ago, and I really liked it. I should make it again. I'll have to look into the Simply Earth oils. I love to remember forgotten recipes. You should look into the oils; I really like them! The recipe boxes are really fun. 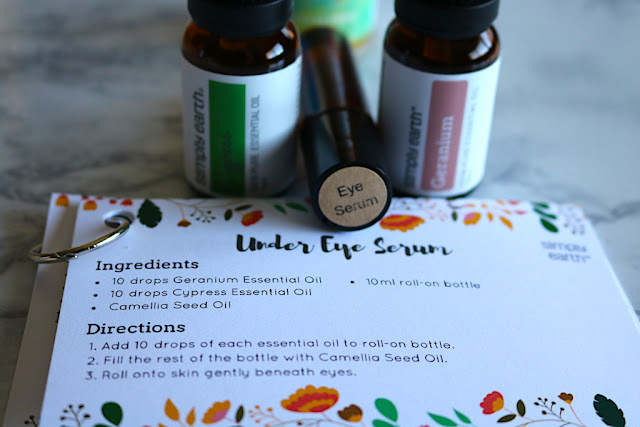 I love that they are such a great introduction to essential oils. Plus, they are a really good value. 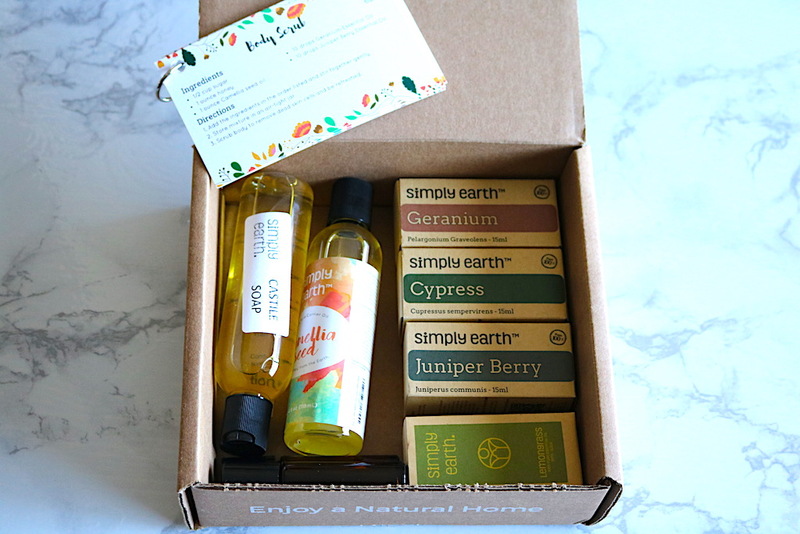 I have done some research and am making a bug repellent with the lemongrass and eucalyptus oil that is included in my box. Curious to see how it goes! Thanks, Mica! And, yes, I love that you know exactly what is in products you use! How exciting that you published your first eBook! CONGRATULATIONS!!!! This looks like a really neat and unique box! I love that there are recipes you can make! I have never made a body scrub, but have always wanted to try it. I have never tried essentials oils, but they're so popular these days! Oh, I love essential oils. I just bought a little pack of oils good for cleaning house. Now to find time to actually clean! One year for my daughters' birthdays (one day apart) I bought kits so we could make our own perfume blends with essential oils. It was kind of fun. Everything about this kit is so pretty. 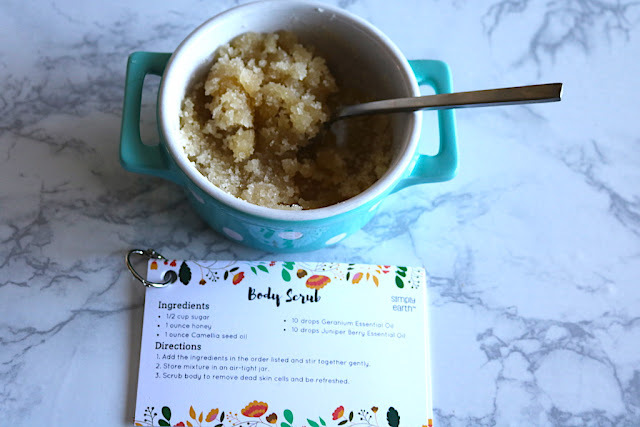 And your body scrub looks good enough to eat. This would be a great little gift for a work colleague or secret pal. Yes, cleaning products are next on my agenda! Oh, and actually cleaning my house... ;-) And, yes, a box would make a great gift! Yes! 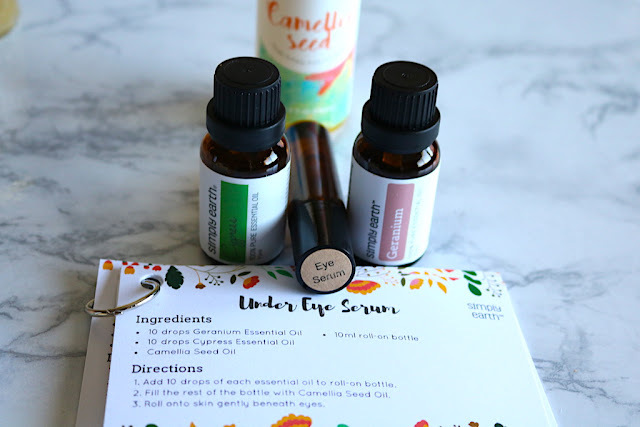 The recipes are really great and a wonderful way to get started with essential oils. 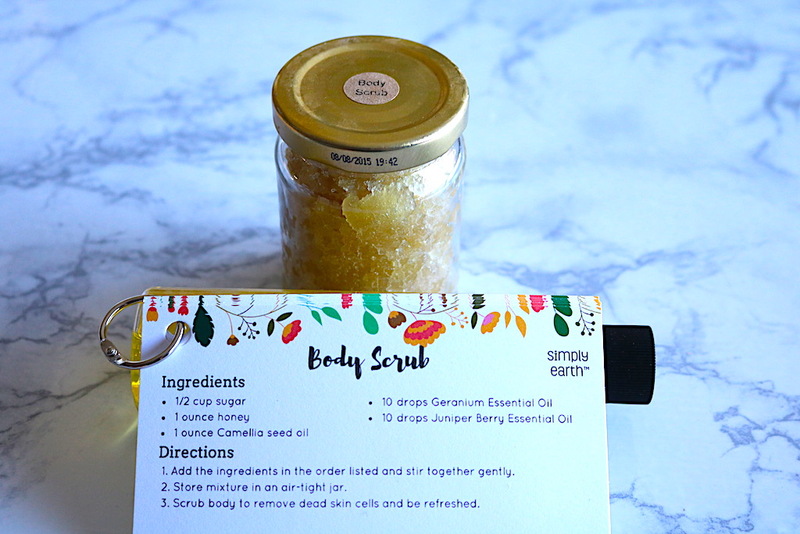 It's a great way to use natural products on our bodies and in the house. If we mix these products for making natural oil then it is more effective for our health and body. It can not harm our body skin. Products in Isagenix are also very effective for the skin of the body. its very essential oils. I just bought a little pack of oils good for cleaning house. Now to find time to actually clean! One year for my daughters' birthdays (one day apart) I bought kits so we could make our own perfume blends with essential oils. It was kind of fun.